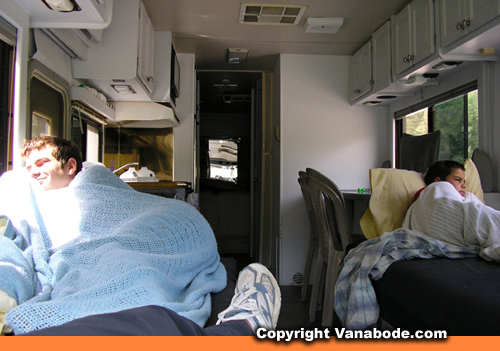 This page I wrote for my old rv website RVforSaleGuide.com before developing the Vanabode as the best travel vehicle for cheap easy long term road trips. People still like big rv's despite the much greater cost and trouble to operate, so here's what I know about them. 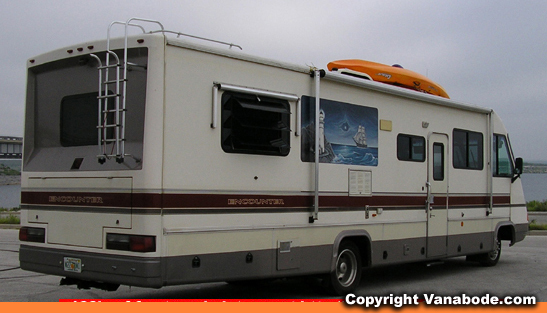 Click for the MASTER LIST of RV Vacation articles and photos camping the U.S. July 1 to August 6 - 2004 Or see miscellaneous pictures below of the same trip. Animals seen during our short 5 week RV vacation. We saw so many animals, reptiles, and other critters on our 8,000 mile summer RV vacation whether we were visiting a national park or not. There definitely is an art to spotting animals, so when someone spots an animal we all say "good sighting". Sorry, squirrels and lizards don't get a "good sighting". Jack rabbit snacking on leftovers from picnickers at Lake Amistad National Recreation Area in Del Rio Texas. Ben's careful planning trapped a ground squirrel while camping in Yellowstone and the poor little fella fell for it. When Ben pulled the string for the trap the squirrel didn't care about the carrots and nuts that lured him in the first place, as he was scrambling for an escape. Yellowstone mule deer grazing in a meadow. 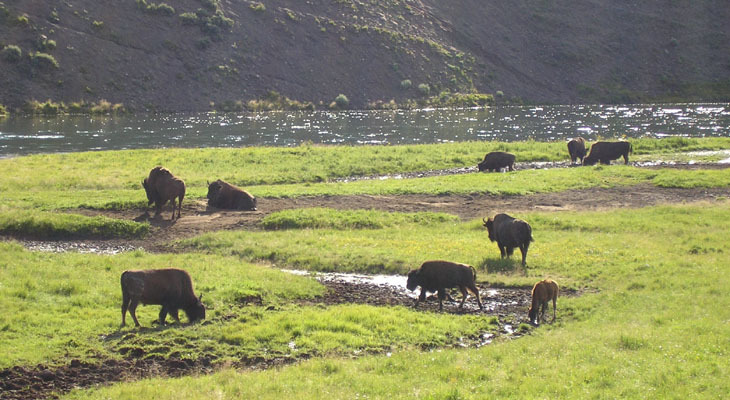 Click to see Yellowstone bison pictures. Hummingbird at Lake Powell in Utah. Click to see more hummingbird pictures at China Ranch. Mother deer and fawn in the visitor's center parking lot at Zion National Park. 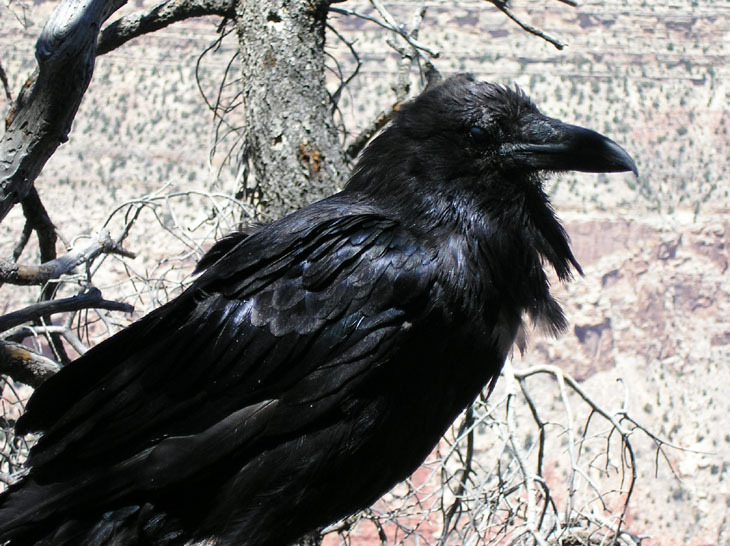 Above: Picture taken of a raven at the Grand Canyon. There are posted signs everywhere warning people that ravens will steal from you; they are called the winged bandit. They can unzip backpacks and open latches on many motorcycle and snowmobile compartments. Their bills are very strong and the ravens are very persistent. They are not scared of humans either. This raven was sitting right next to us on a wooden hand rail as if we had been friends forever. 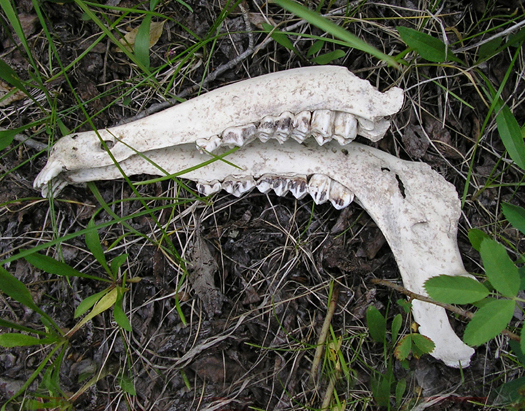 Above: Picture taken of a female elk grazing in Yellowstone National Park. 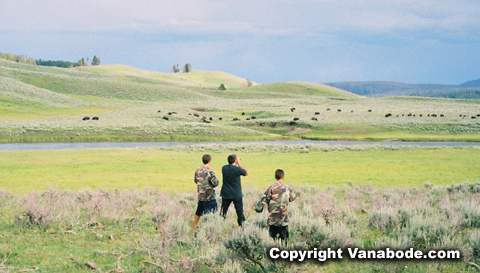 During the summer months is when elk watching is at it's peak. With over 2.2 million acres I call us all lucky to be able to see the variety of wildlife we see at all. 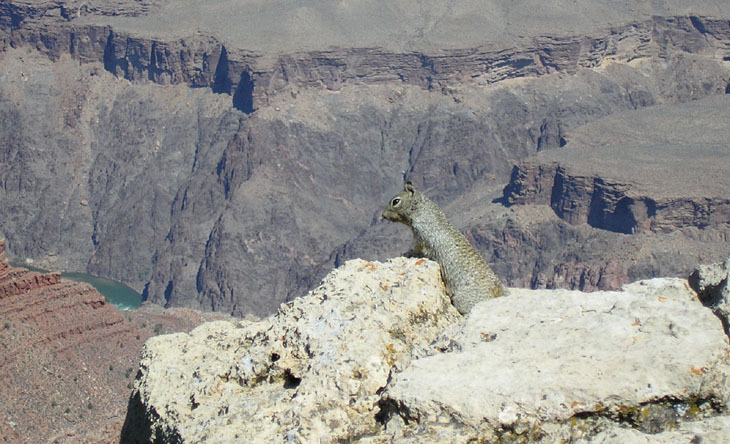 Above: Picture taken at Grand Canyon National Park of a squirrel looking over at the Colorado River rapids below. It's hard to imagine a squirrel in this harsh environment and at such an elevation, but it's true. There is only one oak tree that lives here and that is the Gambel Oak, a small oak but acorns it does have. There are plenty of photo opportunities for ravens and squirrels around the concession stand at Hermits Rest, at the end of the Grand Canyon's South Rim bus tram. 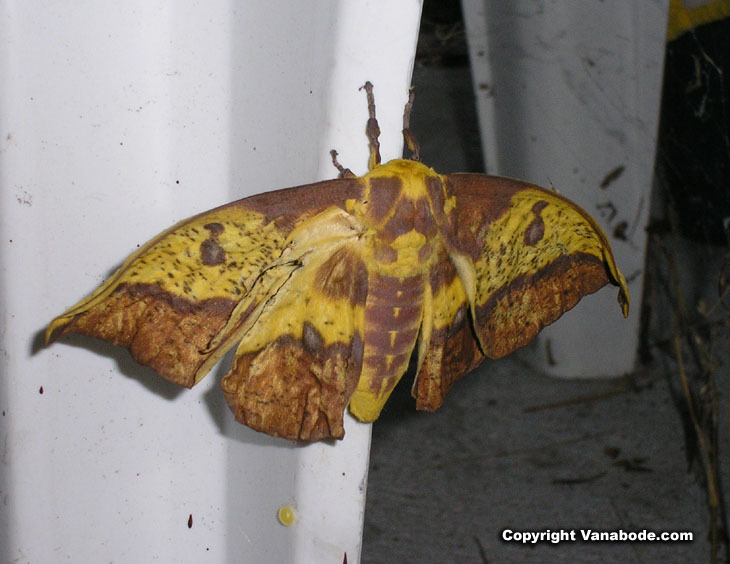 Above: Picture of an Imperial Moth laying eggs on one of our plastic outdoor chairs that we travel with. Their wingspan can be as wide as your entire hand, finger tips to wrist. 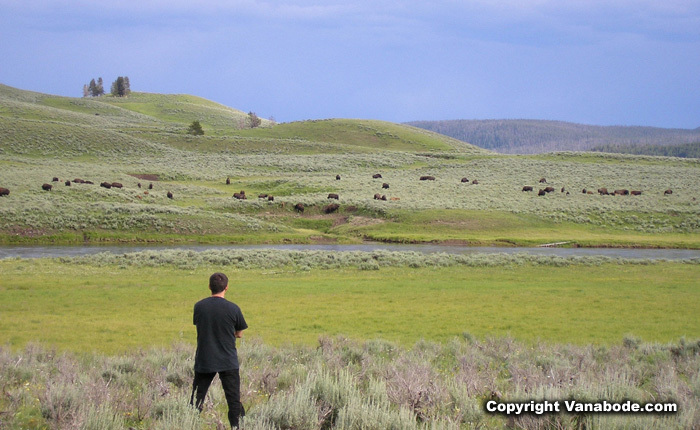 Above: Picture of bison seen from the Grand Loop Road which is the name of the figure eight roadway running through the interior of the park. There are more than 460 miles of paved roadway inside the park and about 1,000 miles of backcountry trails. And although you can see quite a bit from your car, just like Glacier National Park, we suggest getting out for a hike to really experience this grand place. 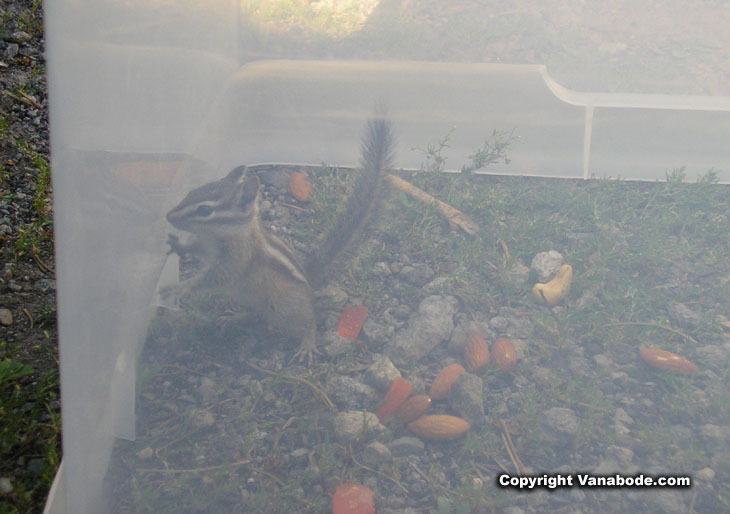 Above: Picture of captured chipmunk. Poor little fella was so excited to get some nuts and dried fruit he ignored the trap above. Ben set the stage with the food, plastic tub, stick and string. I think he waited no more than 10 minutes and then the chipmunk was captured. This little guy was so frantic when trapped that he dug and escaped in less than 20 seconds. 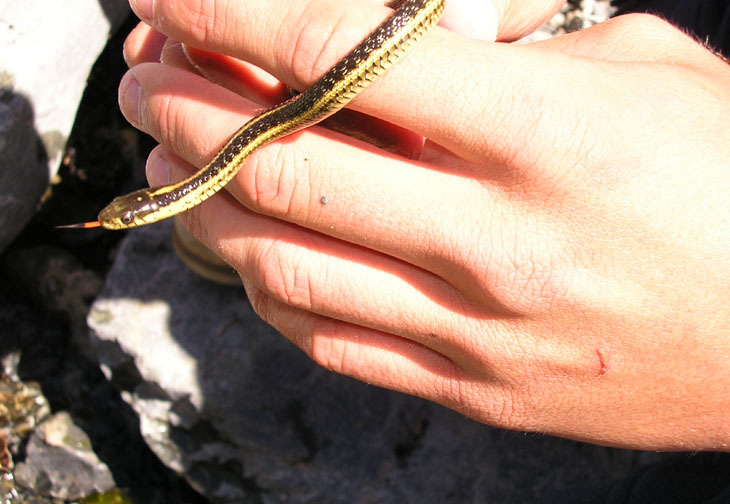 Above: Picture of a Coast Patch-Nosed Snake along the southern California Coast. Josh and Ben were wondering around some stones near a river that trickled into the Pacific Ocean and came across this snake. Josh just picked it right up, but the snake was very gentle when handled. 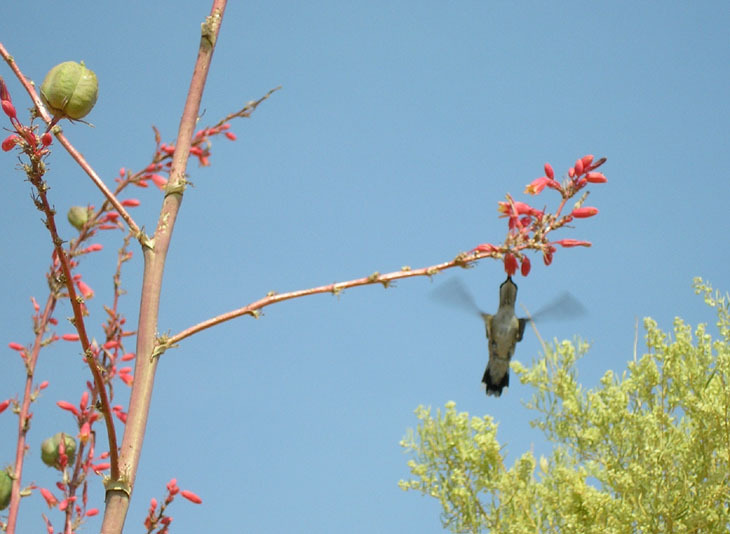 Above: Picture of hummingbird taken outside of a public library in Arizona. We took some time out of the heat and water around Lake Powell to visit the local library in Page. There were so many hummingbirds drinking nectar from the flowering Red Yucca plant that was landscaping the library parking lot. Some pictures were staged. Obviously, the squirrels coming up to you like a best friend with food is just a natural occurrence. Aiming skill only for taking that picture. The trigger finger had to be quick taking the pictures of the chipmunk that was trapped and eventually escaping. The hummingbird pictures were fairly tortuous to get, though. While taking these pictures Kelly was dubbed "birder" by Ben. One of his four reasons (unfortunately, we can't remember three) for naming Kelly this was something like..."any other person wouldn't be putting themselves in those many weird positions, squatting silently still for more than 30 seconds in 100 degree heat." Josh funny face pictures - RV vacation pictures. While on our 8,000 mile RV vacation around the U.S., Joshua threw caution to the wind when posing during this family holiday showing off some of his crazy talents. Laughing wearing dad's Australian outback hat on at Sandia Peak in Albuquerque, New Mexico. 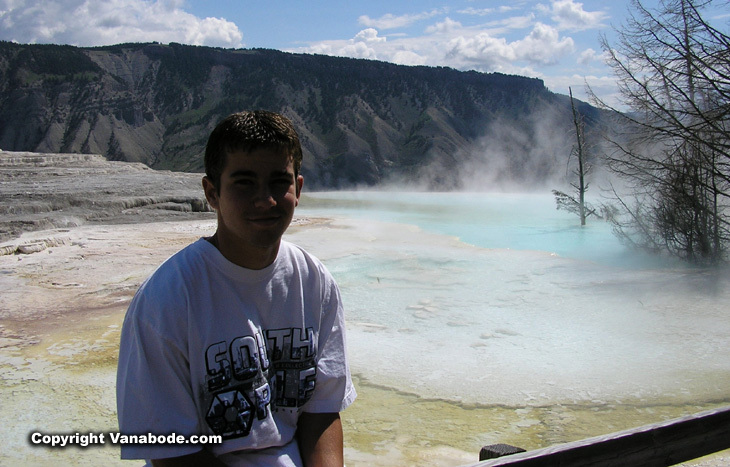 Posing at Mammoth Hot Springs in Yellowstone National Park. 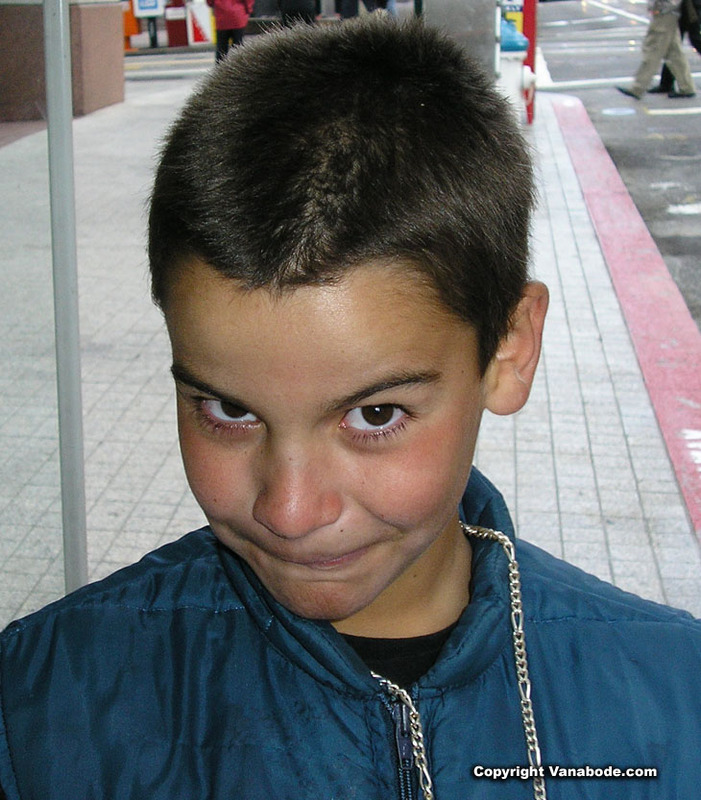 Good looking Josh. 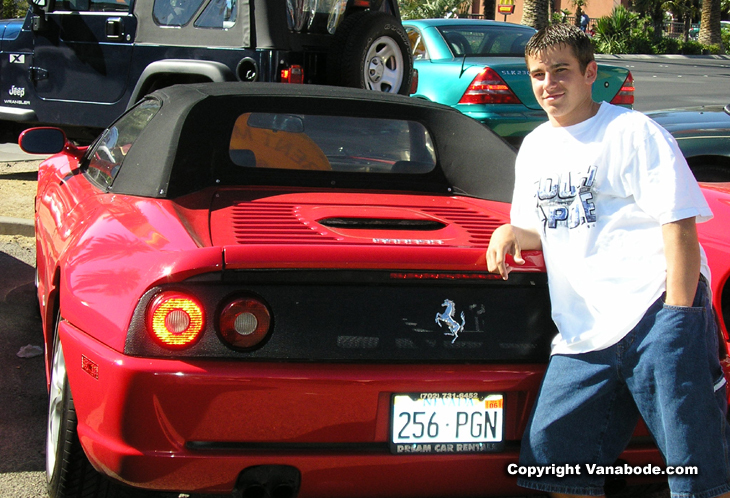 In Las Vegas wishing he had his driver's license to rent and drive these hot cars to drive the strip. 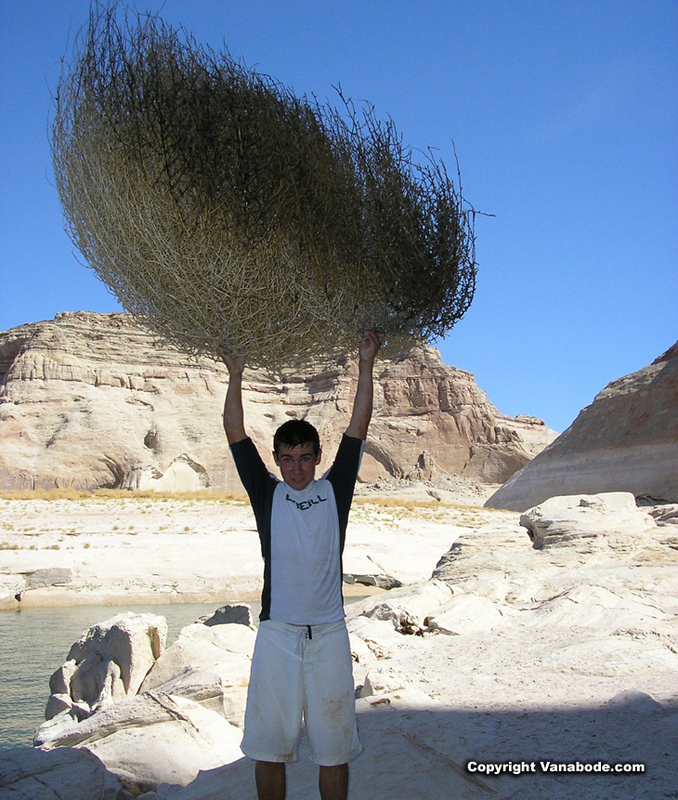 Tumble week found in Lake Powell. 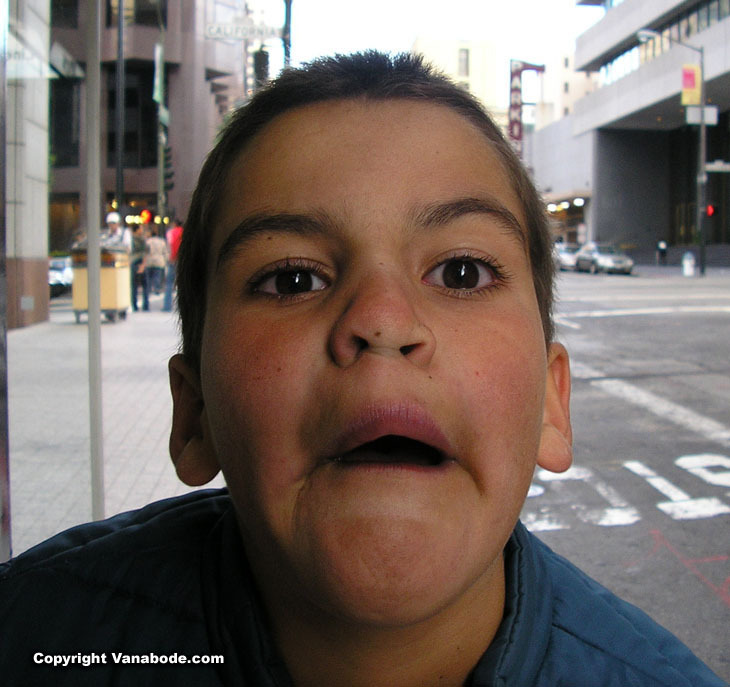 While waiting for the bus in San Francisco, the boys started making funny faces. Before you knew it Ben and Jason were showing off their talents for the camera too. 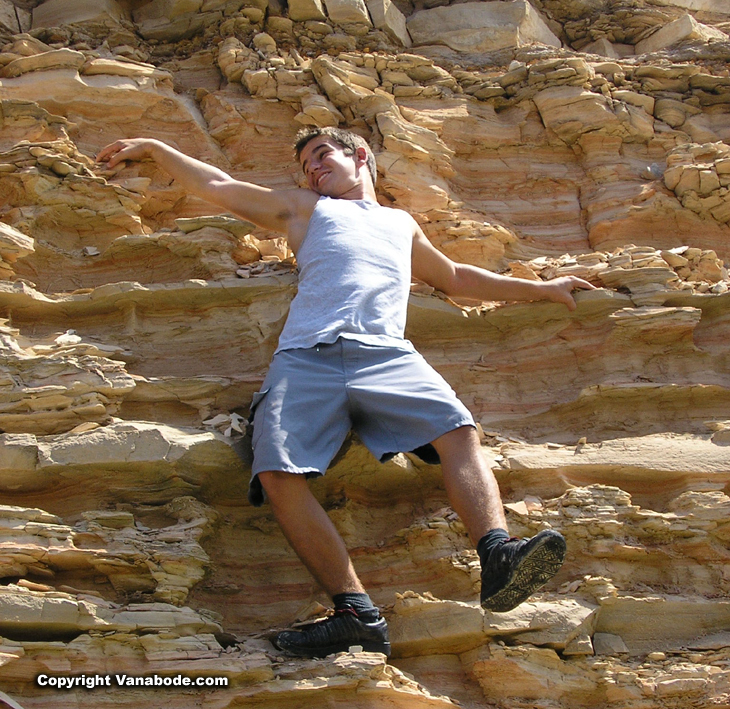 Josh took a break from being on the ground by climbing some sandstone in Texas. His hair got quite wild so we tried to keep the madness down by placing styrofoam rocks on his head. Click to see Lake Powell mudfights. RV vacation pictures of the many faces of Ben caught on film. 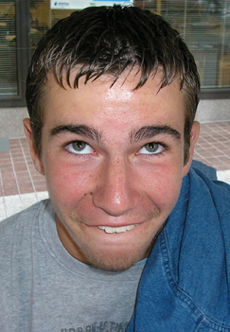 Ben has lots of talents and we found on during this vacation that one of them is making faces for the camera. To experience Ben's gifts you have to be lucky enough to hang out with him. 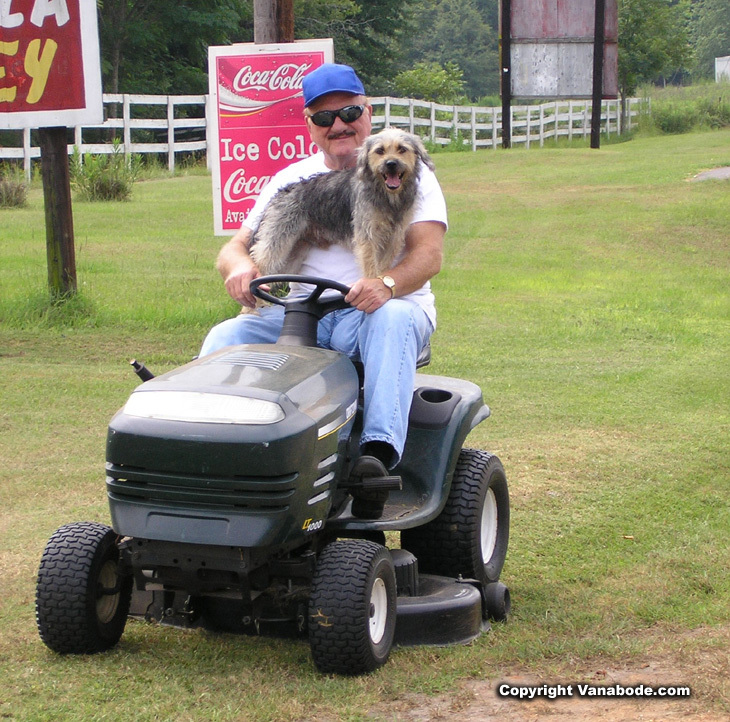 There was never ending excitement and laughter on our 8,000 mile summer RV vacation with this "flown" around. 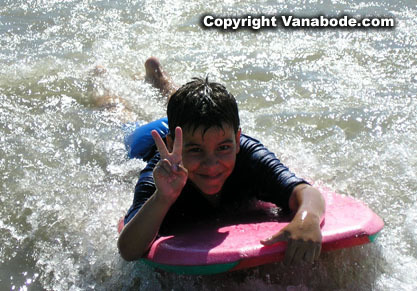 Ben rides his boogie board at Cape Canaveral Beach in Florida, peace man. 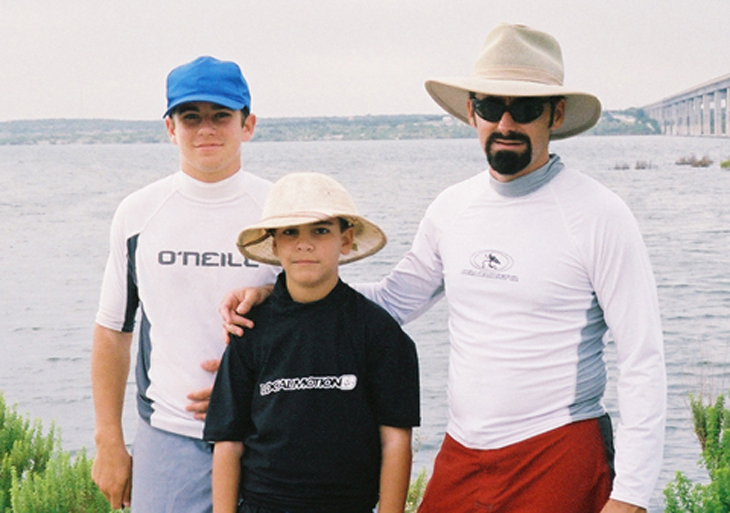 Cape Canaveral is the place to go if you love or have ever wanted to go deep sea fishing. And the beaches have a great reputation for surf fishing as well. The waves are best for surfing during the winter months and smaller in the summer which make paddle boarding and surfing with a long board so much fun. Although there won't be any more shuttle lift offs you can still visit the Merritt Island Refuge and Playalinda Beach. 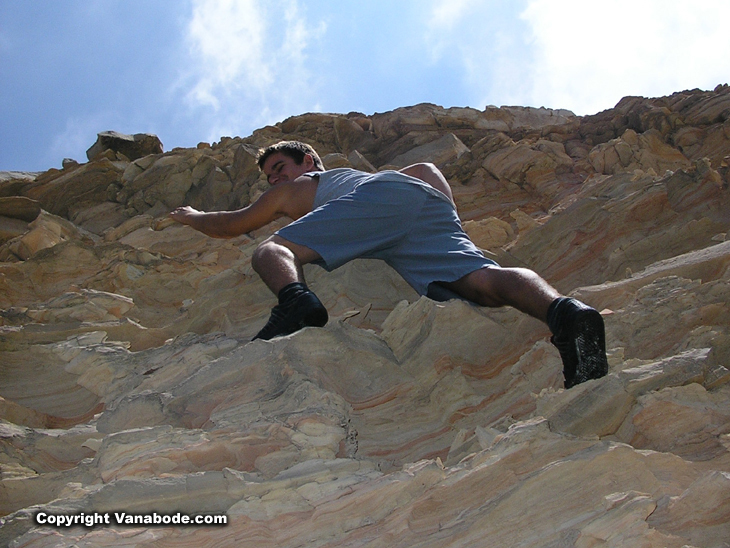 Above: Ben making one of his many faces for the camera at Amistad National Recreation Area in Del Rio, Texas. This rec area is mainly for the water lovers as there is not much to do on land. Above: Picture of Ben posing the the wax figure of Luciano Pavarotti in Las Vegas, Nevada. No matter if you are a child or an adult you will be totally thrilled with the classic beauty and fun in Las Vegas. And if you ever get a tired of the action on the Strip there is plenty to do away from the lights and action like the Las Vegas Wash or Boulder City's Hoover Dam. 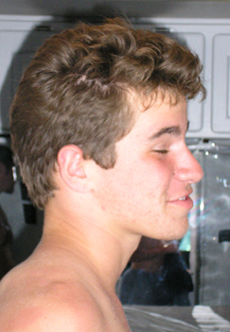 Above: Picture of Ben goofing off while him and Josh play chess. Above: While we were waiting for the city bus Ben was having fun in front of the camera. It wasn't too long after this trip when Ben started looking away and hiding his face and running away from the camera. These funny face pictures of Ben might not be what you want to send in a Christmas card but at least he was acknowledging the camera. 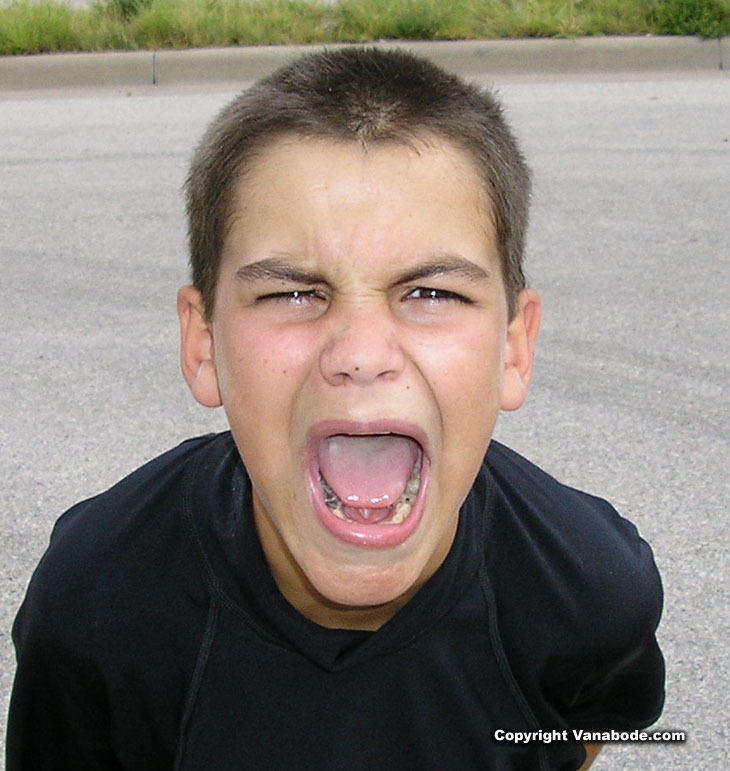 Above: Picture of Ben yelling - all in fun - for the camera. We drove all night and straight from Fort Myers, Florida to Del Rio, Texas' Amistad National Recreation Area so I think some of the yelling and laughing was him releasing being cooped up. 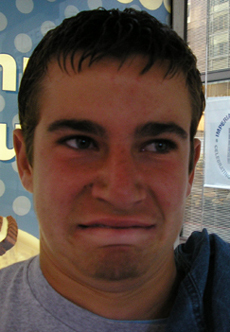 Above: Picture of Ben's most famous funny face. 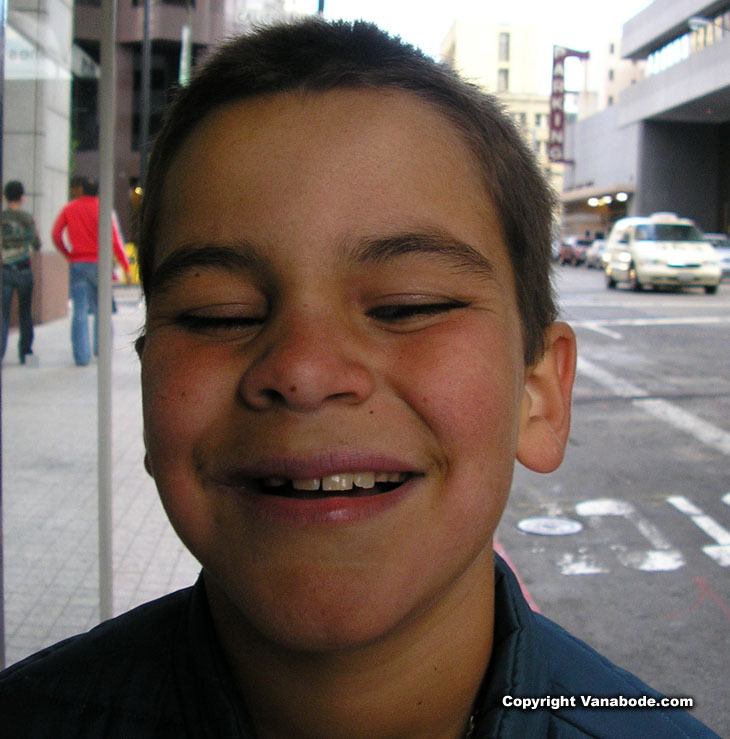 This is how he saw the locals as they shuffled through the streets of downtown San Francisco. He calls this the "Local". 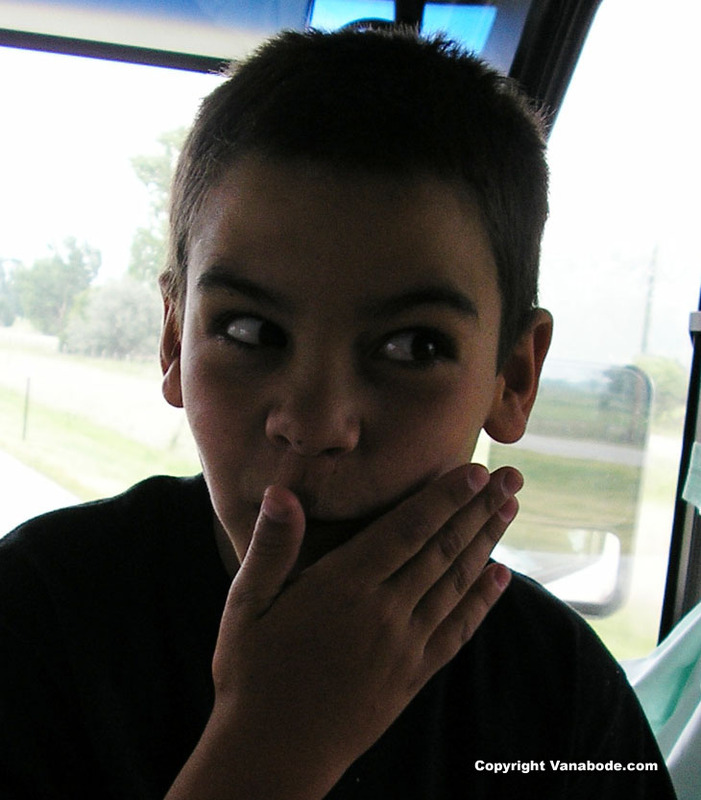 Above: Ben and Josh playing the slapping game while traveling in the RV from one destination to another. 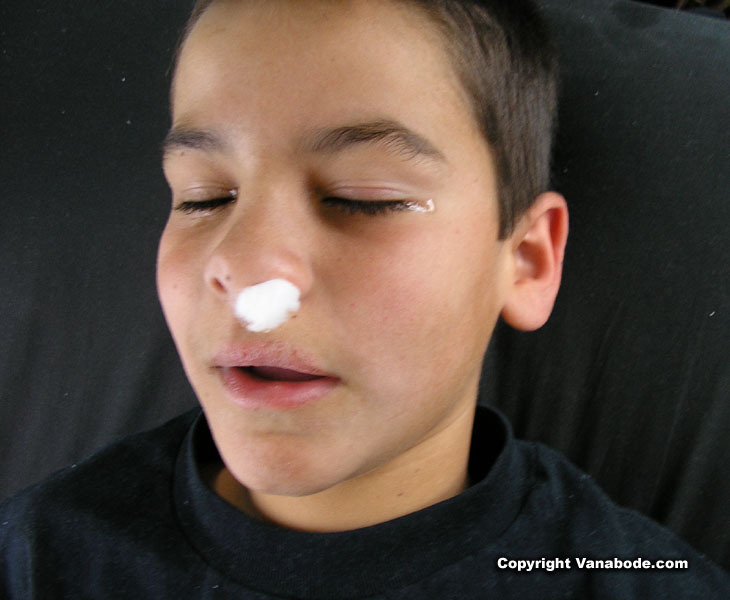 Above: Ben's healing bloody nose and dried cracked lips from all the dryness in the western states. 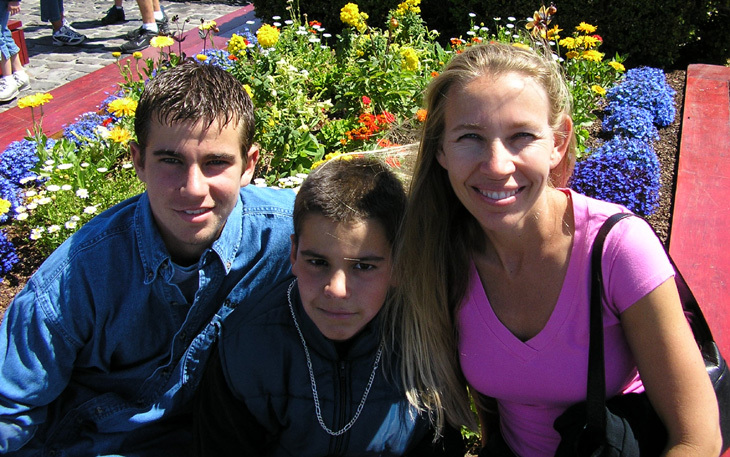 This family vacation was one of the best. We experienced 100 degree heat in Las Vegas and snow in northern Yellowstone, high times in Albuquerque and low times at Carlsbad Caverns. We spent four weeks on the road traveling from Fort Myers in South Florida to as far west as San Francisco. We are blessed to have this opportunity to travel with the boys across the United States experiencing so many great cities, small towns, and national parks. These are memories that will last a lifetime for us all, not only in the sights but in the conversations during this 8,000 mile summer vacation from heaven. This is the family BEFORE vacation and AFTER our 8,000 mile summer RV vacation. All emotions got released during our trip ending with smiles and laughter. 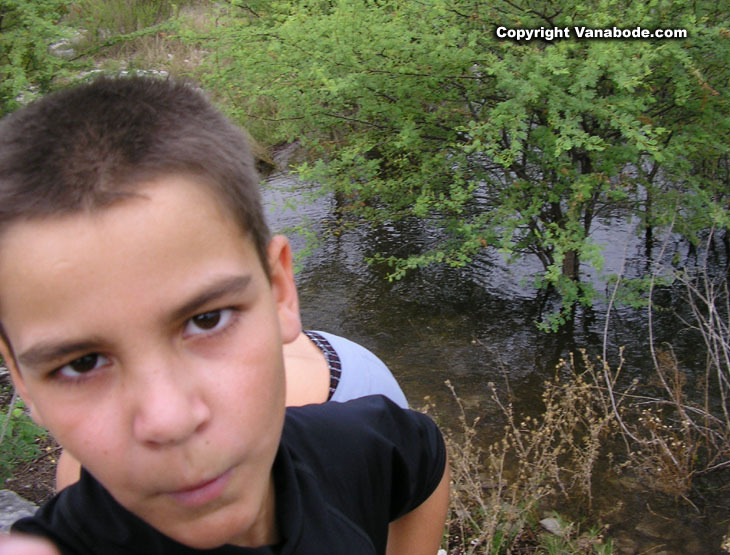 I shot thousands of pictures with our new digital camera. I totally had a blast being able to take so many pictures knowing that I could get rid of the blurry and bad ones with a click of a button. I definitely got the shutter bug on vacation and I don't see it subsiding as long as I got the digital. Unfortunately, I left the camera on the table in the RV while we were driving. 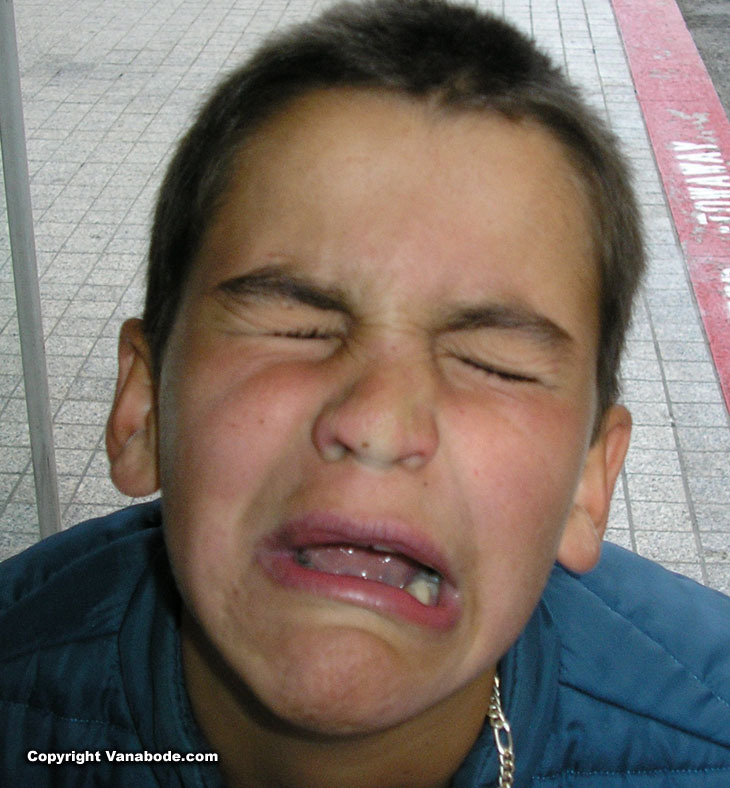 As we turned a corner that thing slide across the slippery glass table top and slammed onto the tile floor. Lucky for me, it survived and so did I. 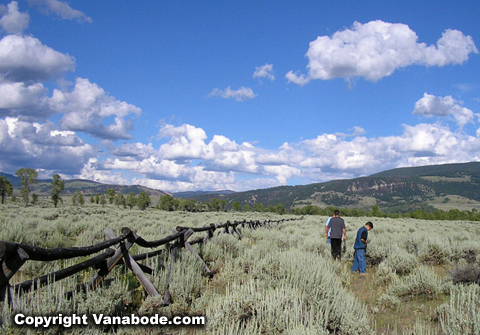 The boys hiking through the sagebrush near Gros Ventre campground at Grand Tetons National Park. 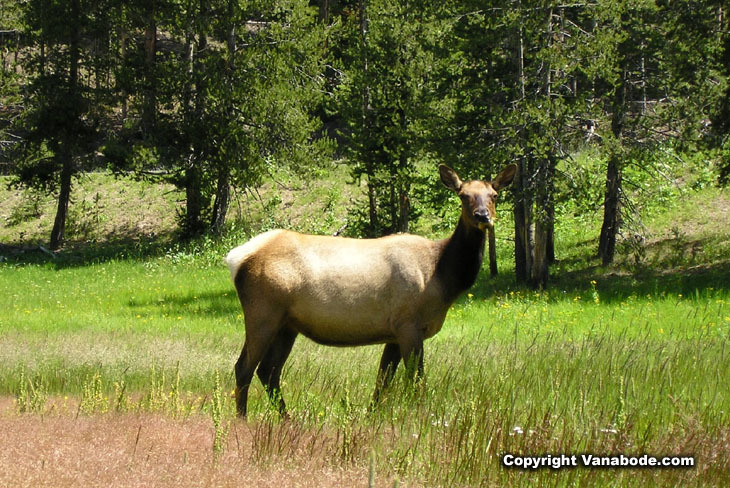 On the way to this campground we saw a female elk lying in the shade on the side of the road. Good sighting, but as we were driving 40 mph it was a quick sighting. We had a camp fire to roasted hot dogs and marshmallows before wrapping ourselves in blankets on beach lounge chairs to watch the stars in the blackest of black night sky. This was such a peaceful night listening to the nocturnal wildlife awaken while trying to keep up with all the falling stars. Bison grazing in the meadow at Yellowstone National Park just off the main road. We got so close we could've touched a buffalo or two while driving on the main road through the park. Some bison were walking down the road and others were napping beneath the trees only 100 feet away from us. Get closer gentlemen, I'm sure they don't see you in your camo. 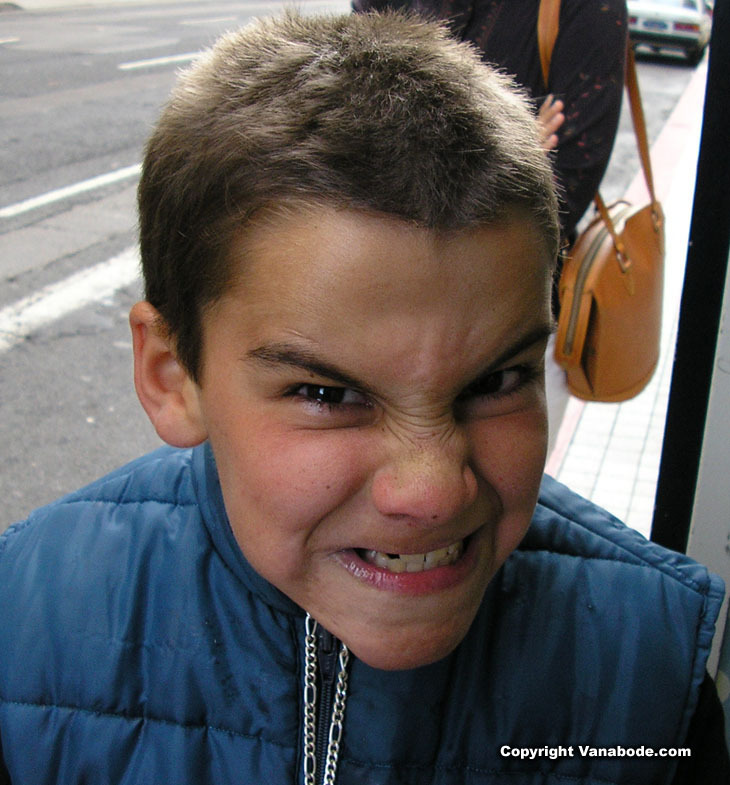 Beware, some pictures are not flattering of the poser. 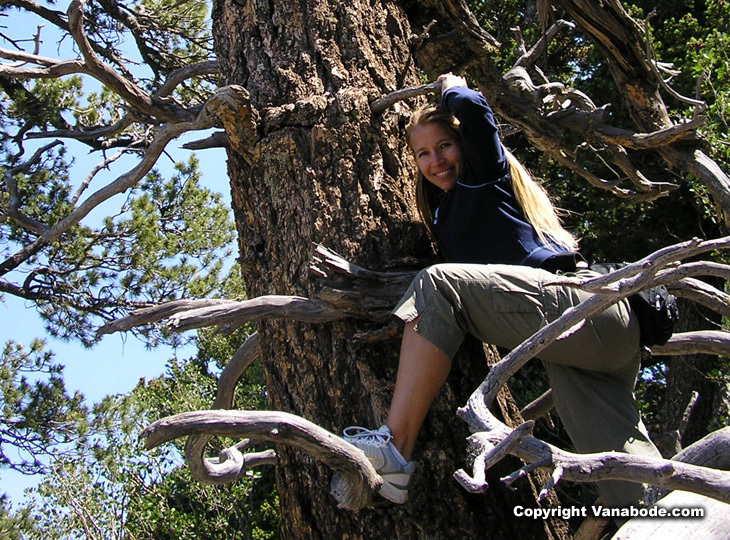 Above: Picture of Kelly climbing an old bristlecone pine tree atop Albuquerque's Sandia Peak in New Mexico. 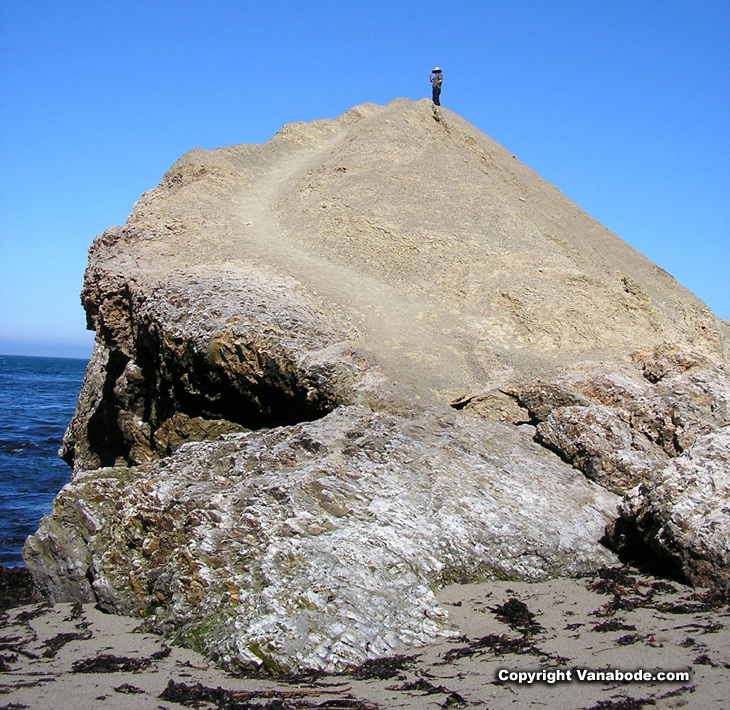 Above: Picture of Jason at the top of a large rock formation along California's Pacific Coast while on the PCH. Above: Picture taken while driving through Alabama on Highway 231. 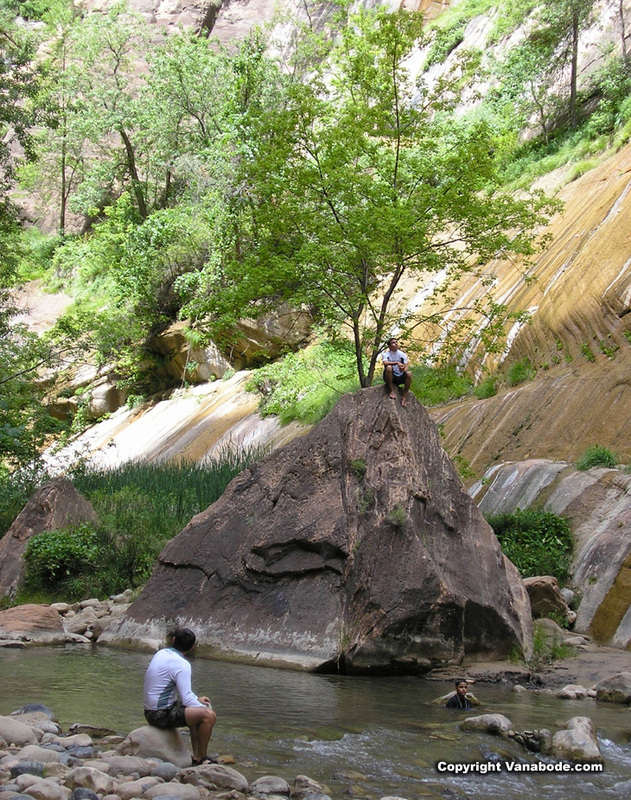 Above: This beautiful picture was taken on the Narrows water hike in Zion National Park. 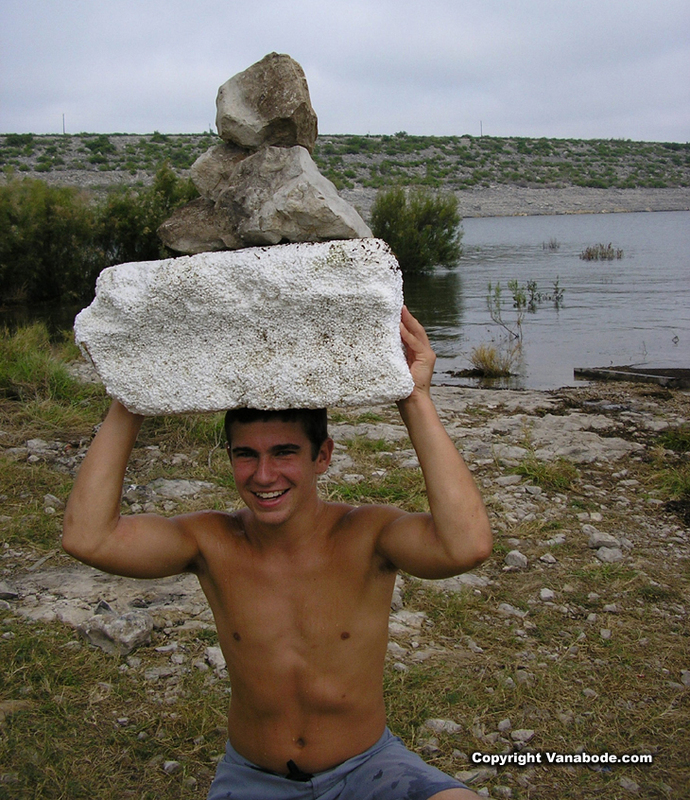 Above: The men posing at Lake Amistad, Texas. 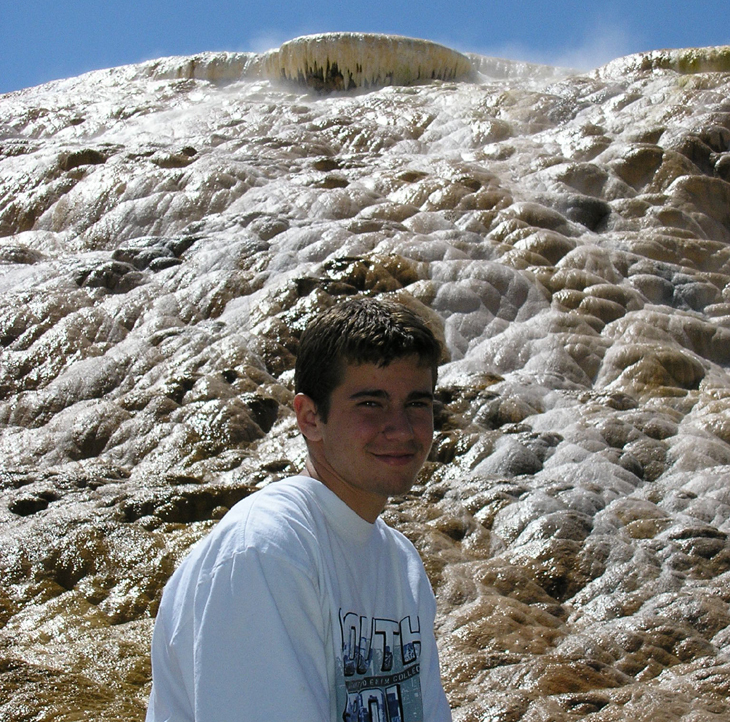 Above: Picture of Josh at Yellowstone's Mammoth Springs in Wyoming. 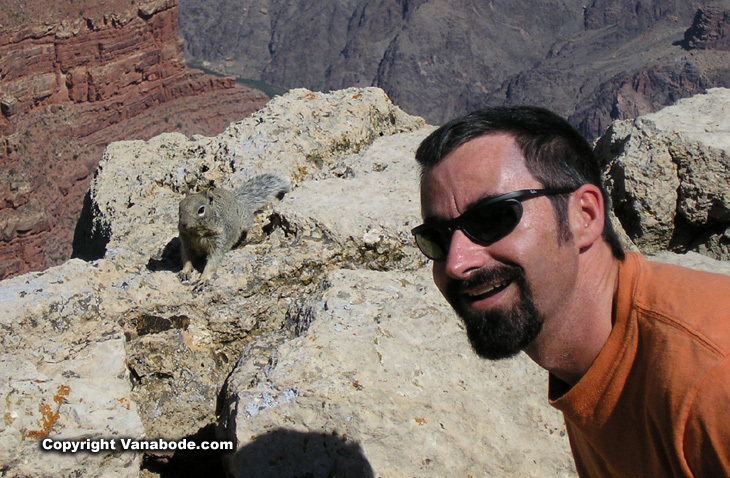 Above: Jason and squirrel at Grand Canyon National Park. You can see a little bit of the Colorado River below. 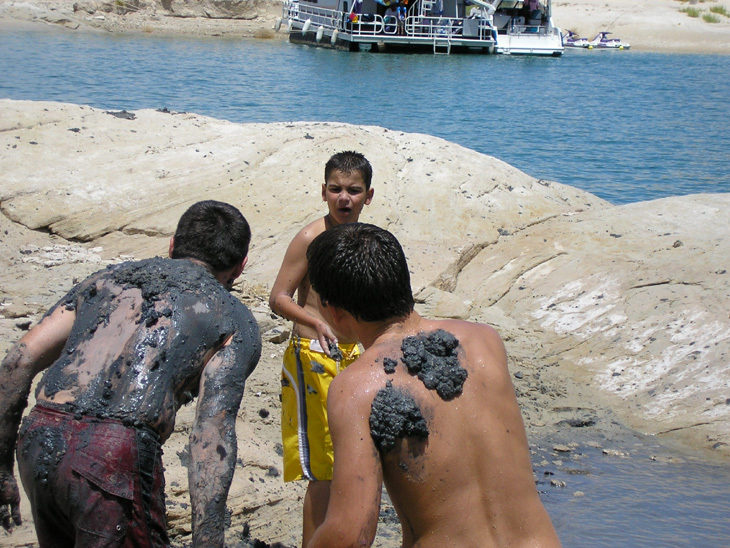 Above: Picture of Jason and Josh trying to get Ben involved in a mud fight at Lake Powell in Utah. Above: Picture taken near Fisherman's Wharf in San Francisco California. 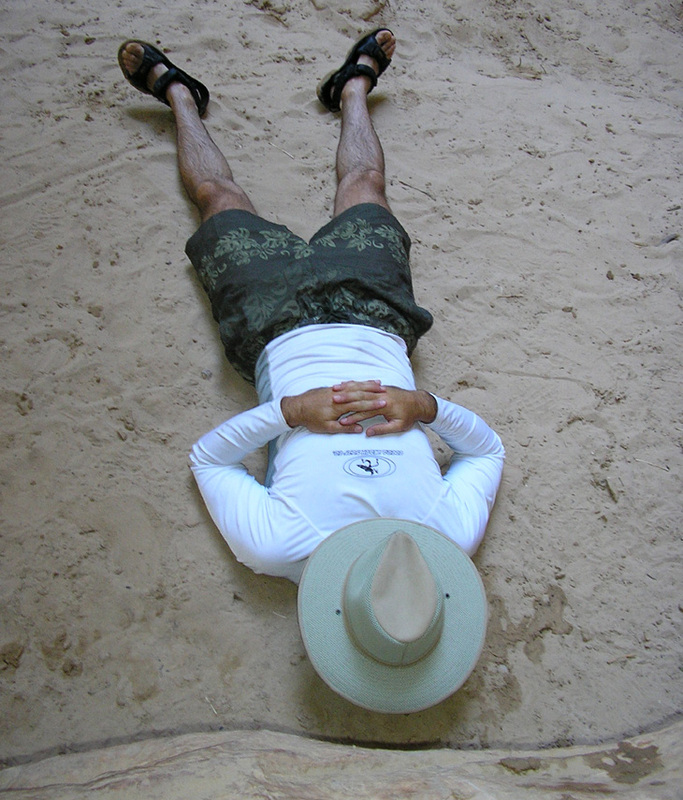 Above: Picture of Jason after a full day of hiking in Zion National Park part of our 8,000 mile vacation. Make your own journey with family and friends and you will never forget it, neither will they. Make memories with the one's you love. 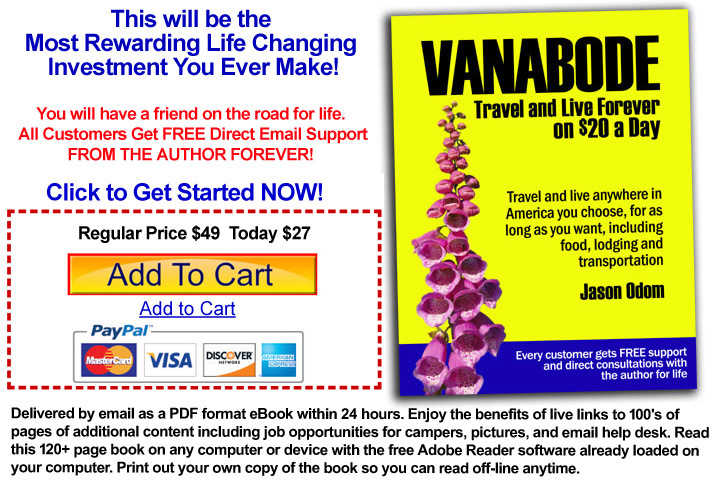 Vanaboding makes this possible for you right NOW. 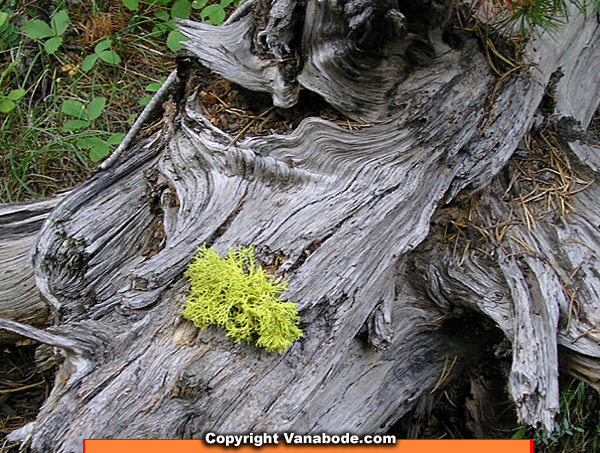 American Road Trips - reviews & pictures of places we visited on $20 a day - food, gas and lodging.